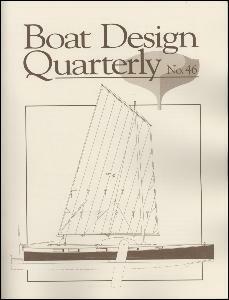 The latest issue contains details of five more designs. Captain Flint. A 17' Plywood cat-schooner from Tad Roberts. Tancook Whaler. A comfortable 36' ketch by John Atkin. Candlefish 16. A stitch and glue outboard skiff from Sam Devlin.